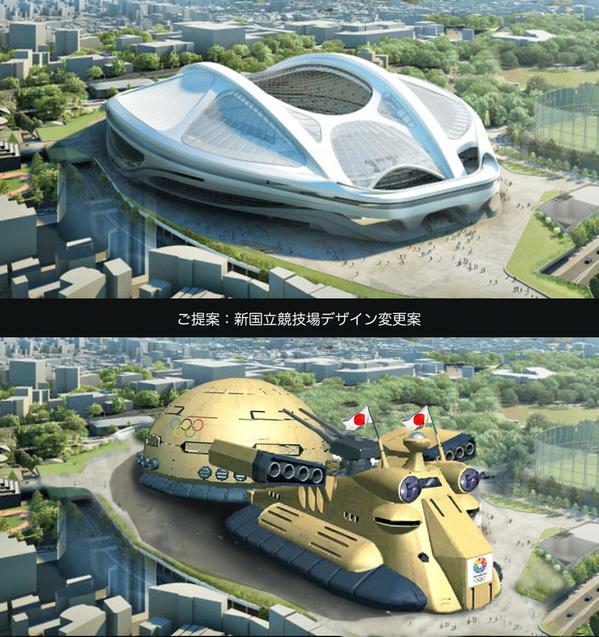 The debacle over the new Tokyo National Stadium is the gift that keeps on giving. Not a week goes by without yet another government U-turn or yet another bump in the already inflated budget. Currently it is set to cost $2 billion (twice the original estimate and far more than previous stadia built for the Olympics in Beijing and London) — this in a city with a notorious shortage of nurseries and other public facilities. Ask young parents what they think of the project and you can guarantee a strong response! The money involved is enough to make the eyeballs bulge, though the construction companies are surely set to turn a very tidy penny after the fuss fades. If it does fade, of course. The whole project might instead end up an albatross hanging around the neck of the run-up to the 2020 Olympic Games and a potentially embarrassing boondoggle for a generation to come if not complete successfully. As expected, the mainstream media has been having a field day with every new fandango; the foreign architect and the suggestion that a homegrown plan would have been better value only add to the tension. 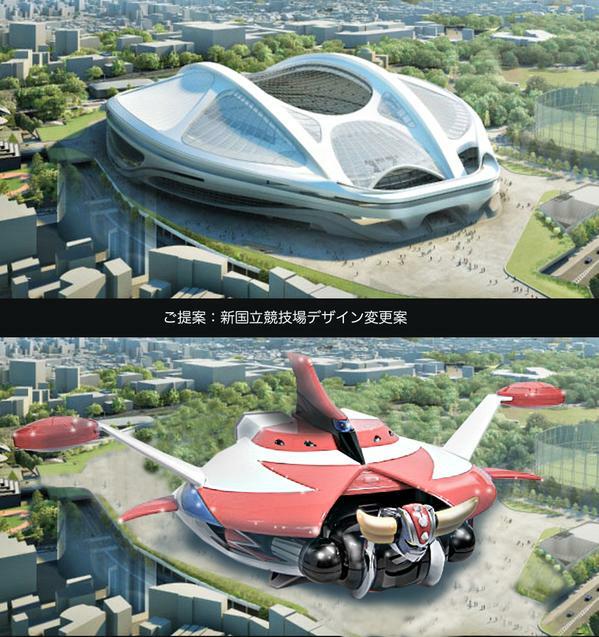 Bizarrely and rudely, the Japanese headlines have at times referred to the architect as “Zaha-shi” (Ms. Zaha), rather than the correct “Hadid-shi” (Ms. Hadid). At least we can rely on the Japanese Twittersphere to adopt the only adequate response to the absurdity of the furore: parody and mockery. Behold Hadid’s plan as a toilet. …including one actually in use! 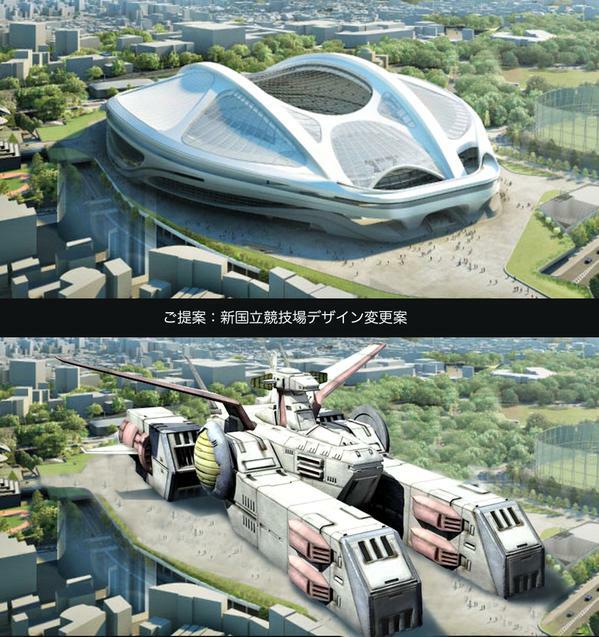 Or as the SCV-70 White Base from the Gundam franchise. 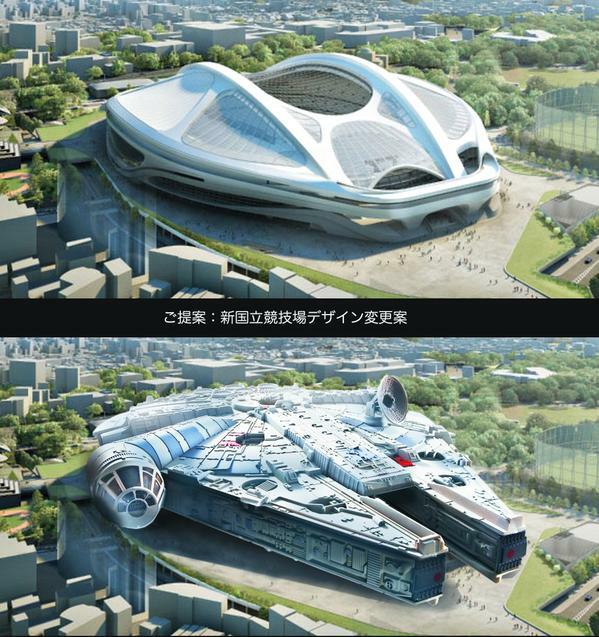 In time for the new Star Wars movie, here is the stadium as the Millennium Falcon. 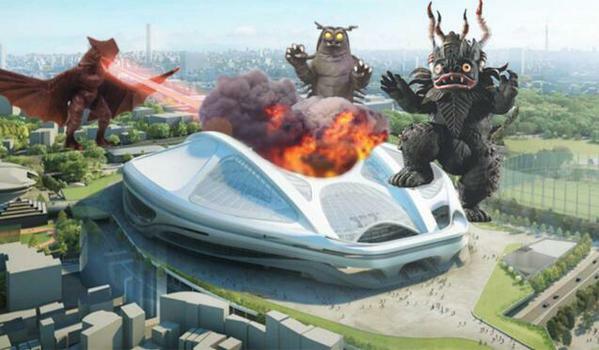 While others reimagined the stadium with monsters. 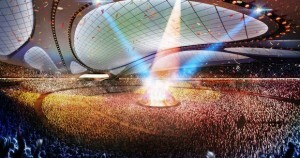 Work on the controversial stadium is set to begin in October and be finished in time for the Rugby World Cup in 2019. Cost-cutting measures have only been introduced to two features: the expensive retractable roof will not be added until after the Olympics and 15,000 of the stadium’s 80,000 seats will now be cheaper temporary models. 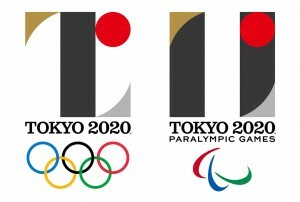 Is the Kenjiro Sano 2020 Olympic and Paralympic Games logo “plagiarism”? Boston Museum of Fine Arts Claude Monet kimono "scandal": Racist Orientalism or innocent interactive visitor event?